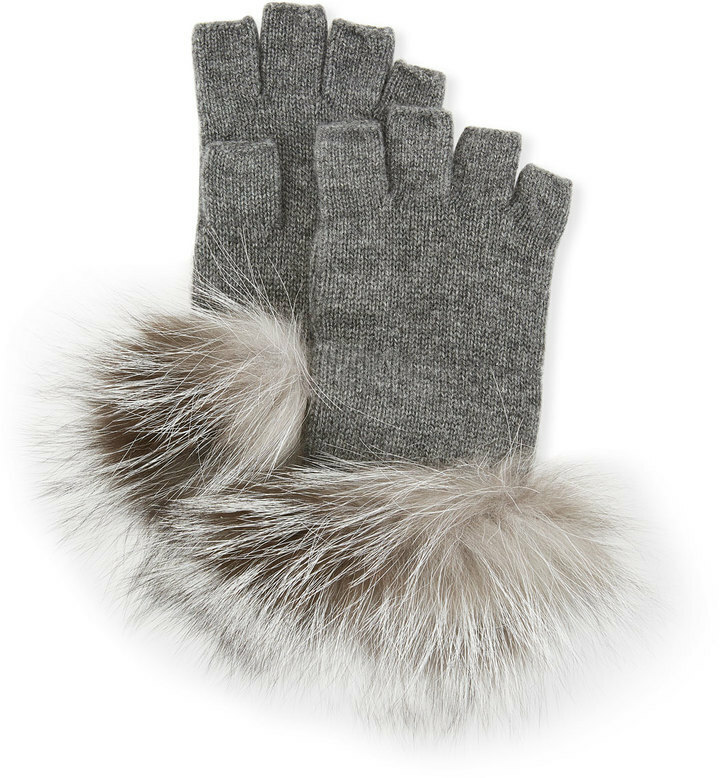 The combination of a grey fur collar coat and Neiman Marcus Fingerless Knit Gloves With Fox Fur Trim Medium Gray from Last Call by Neiman Marcus makes this a solid casual ensemble. For a more relaxed finish, why not complete your look with black rain boots? 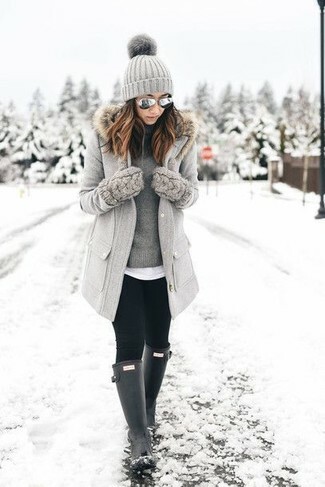 Pair a black parka with grey knit wool gloves to feel confident and look stylish. Wondering how to round off? Complement your getup with a pair of black rain boots to shake things up.